What is your blood type? According to Peter D'Adamo, this is the central question to be answered to achieve the proper choice of diet and exercise. A naturopath, or alternative medicine practitioner, Peter D'Adamo has designed four complete and distinct lifestyles for proper wellness; all based on your blood type: A, B, AB or O. In his book, Eat Right 4 Your Type, Mr. D'Adamo explains that evolution is responsible for producing four specific and distinct eating and workout requirements. The four blood types each react differently to certain lectins, which are food proteins. Eating foods with the wrong lectins can lead to discomfort and disease. Eating foods with the proper lectinsyou’re your blood type maximizes your energy and preserves your health. Blood type O (called "the hunter" in the book) is believed by D'Adamo to be the oldest blood type (although peer-reviewed science would award that honor to blood type A), and as the oldest genetically, O's thrive on a diet high in animal protein and little dairy and grain. Type O's should avoid gluten as much as possible. O's suffer from arthritis, asthma and allergies, such as hay fever. Ideal exercise for type O's is intense with an emphasis on cardio. Type A's ("the agrarian") are the second oldest genetic group (about 20,000 years ago) according to D'Amato and are evolved to live best on a vegetarian diet. Their genetic make-up predisposes them toward cancer, diabetes and heart disease, making a diet that does not trigger the immune system critical. Type A's should practice exercises that calm and sooth, such as yoga and tai chi. Blood type B ("the nomad") people are the third oldest people, genetically hitting the earth about 10,000 years ago. This means that they have a stronger immune system and can tolerate a broad range of foods, including low-fat dairy, vegetables and meat while avoiding wheat, lentils and corn, without risking the diseases that are rampant with Type A's. D'Amato recommends moderate exercise, such as swimming, hiking and cycling for best results. 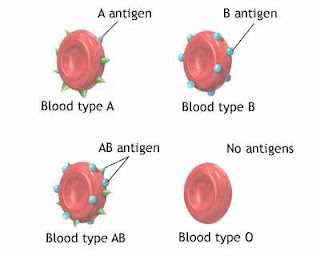 Type AB ("the enigma") is the most recent blood type, arriving about 1,000 years ago according to D'Amato. As a result, the foods that work for A's and B's are fine. Specifically seafood, tofu, dairy and vegetables are recommended while chicken, beef and pork are not. Pretty much any exercise routine at all is fine, too. AB's have little trouble with allergies, but do suffer from anemia, heart disease and cancer. Can this diet work? Ignoring for a moment the blood type selection process, the underlying dietary guidelines are well within accepted boundaries. Emphasizing fresh fruits, vegetables and lean meats will improve your quality of life. But does connecting your blood type to a certain meal plan make sense? There is no scientific basis for D'Amato's claims and many scientists have lined up to refute his hypothesis. Scientists point out the D'Amato has the evolutionary timeline wrong, with the various blood types appearing in his history differently than in accepted science. Further there is no pathology to support his theory about lectins and the antigens related to each blood type reacting to certain food groups. None the less, if you are uncertain about which diet to choose, letting your blood type make the choice is certainly as effective as, "Eenie, meenie, minie, moe." The real choice is to decide to change your eating and exercise habits to become healthier. 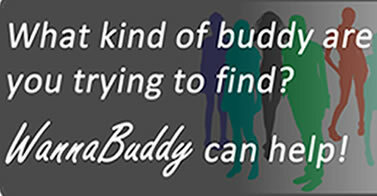 So get yourself a diet buddy and get going!